This chapter is a transdisciplinary study on the fundaments of cognition, considering this process at human level as the combination of biological and (multi)cultural values. 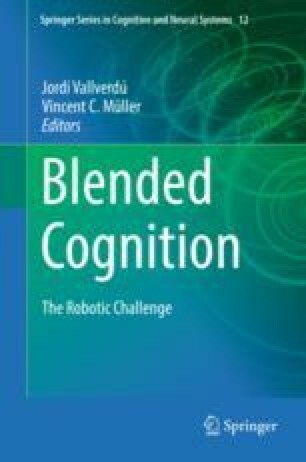 The main idea is to describe the skill of human beings for using several heuristics for task-solving activities as a process of combining and blending techniques, something that is called here as “blended cognition”. This rich and complex way of dealing with multi-heuristic frameworks provides not only a more adequate model for the understanding of real human cognition, but also it is of the most interest for the design of creative and adaptive artificial intelligences. I thank Pilar Dellunde for her advice about logical analysis and AI, Alger Sans for his suggestions about abductive reasoning, and Sarah Làzare for her support during this long process, blending our personal, work, and leisure times around such project. This work has been partially funded by the project FFI2017-85711-P.